defying science and logic | is there any more pie? Posted on August 1, 2013	by is there any more pie? Here is Banjo Man, the Water Witch. He is a man of many talents. He has magic powers. He is truly awesome. 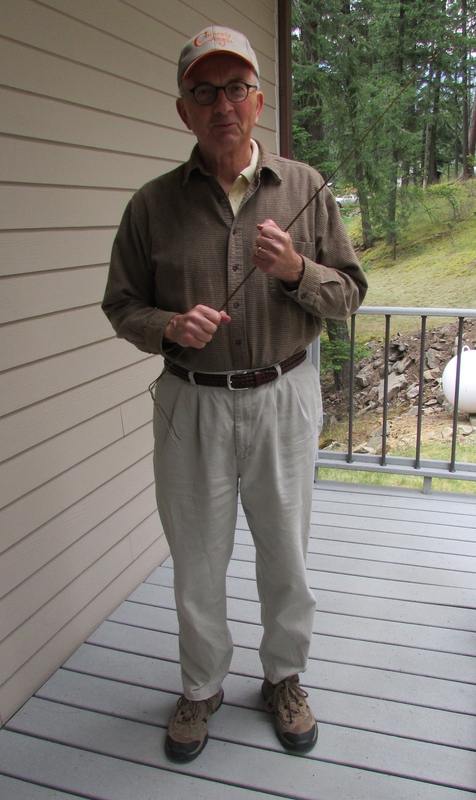 He wields his coat hanger rods and finds water where it is least expected. This afternoon he is “up on the mountain” searching for water. I wish he could find gold and diamonds, though. Or oil. If he sticks a marshmallow on the end of that hanger, he’ll definitely find chocolate. Sorry, I don’t know how to find gold, diamonds, or oil. I could be happy with chocolate, BUT, I think I would really like gold. Come on Banjo Man!